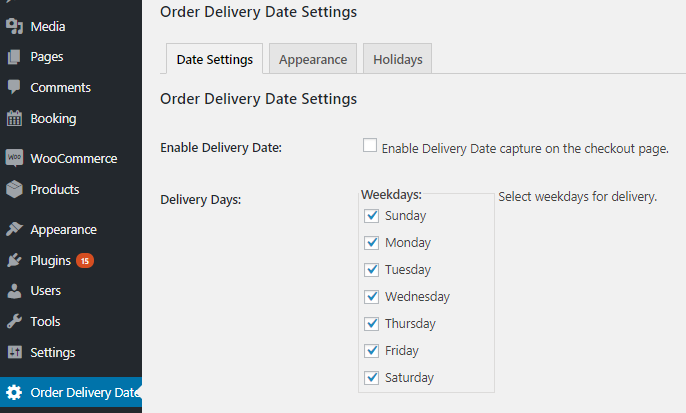 As the name suggests, Order Delivery Date Lite for WooCommerce plugin allows customers to choose their preferred Delivery date for the order on the checkout page. This is a free version of Order Delivery Date plugin and suffice the basic requirements of order deliveries. For some online businesses like Catering or Grocery shops, they deliver items on only certain weekdays and not all. Therefore there is a provision to select the preferred delivery weekdays for order deliveries and restrict customers in choosing those days when you do not deliver. Now moving ahead, let us enable the weekdays when order deliveries can take place. By default, all weekdays will be enabled for you. 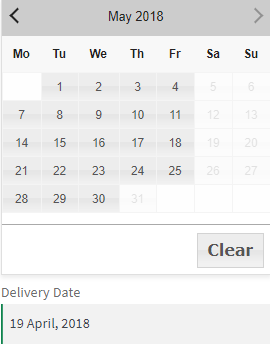 Thus the selected weekdays on the Order Delivery Date Settings page will be available for delivery on the checkout page where the users can select their preferred dates from those weekdays only. 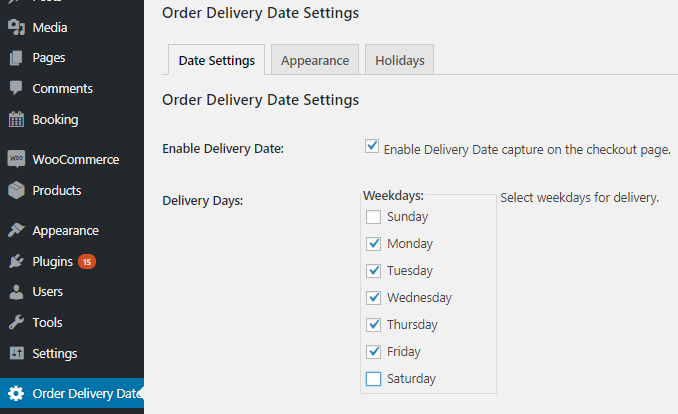 This post explains how we can add settings to allow customers to select only those weekdays when your business is running and restrict customers in selecting those days when you do not deliver. This helps to serve your customers better as they are well informed about their order deliveries.